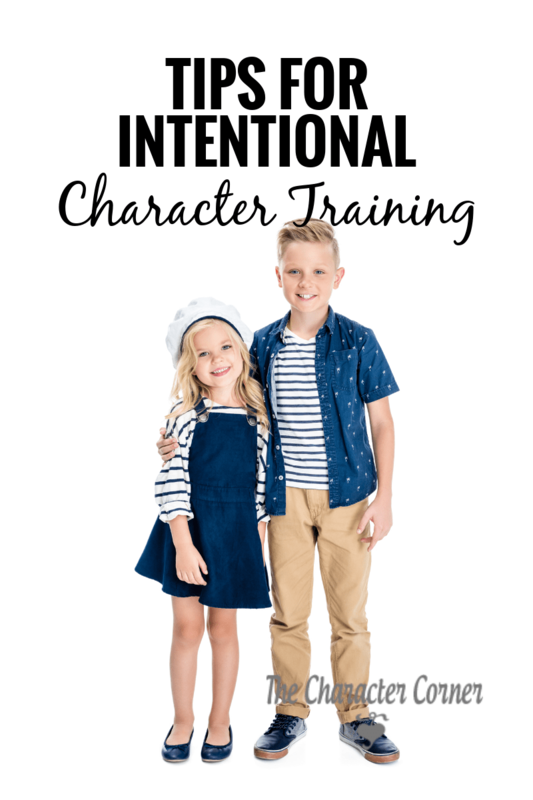 There are several ways that our kids learn character, but the most important and effective method is INTENTIONAL character training. 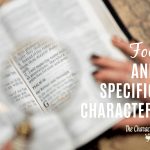 We can talk about how important character training is, and how we hope our kids will develops Godly character. However, the truth is that it doesn’t just happen. It takes work, time, teaching, and training. It requires a plan of what you want them to learn, and how you are going to teach it to them. 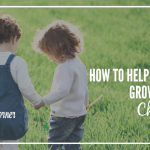 You need to be intentional about training your kids in character if you really want to see them grow and become more like Christ. 1. Take advantage of opportunities that come up in the day. Often we fail to take advantage of those teaching moments that we have during normal daily life. For example, when one of the kids helps a younger one, comment on how kind they are being. If one of them picks up toys without being told praise them for showing initiative. If one of them walks away from an argument, make a big deal about them being a peacemaker. The more you talk about the good character traits that they are showing, the more they will try to please you in those areas. Kids just love to make their parents happy, and the best thing we can do is let them know WHAT pleases us so they can repeat it. I would suggest using character charts to help you look for the good in your child’s behavior, as well as to keep them encouraged. 2. When correction is necessary, always point them to God’s Word. Show them what God says about the behavior, and pray with them about doing what God says is right. This shouldn’t be done in a negative way, but a positive way. I know how much you love God, and that you want to please Him, but when you acted like that (did that, said that…) God wasn’t pleased. Let’s go to His Word and see what He says about that, and find some answers. Training & Correcting the Heart With Scripture is a great resource for finding verses that relate to the issue you are dealing with. It covers the most common behaviors kids struggle with, and gives Scripture to go with each one. 3. Give them Godly role models. One of the best ways to teach your kids what Godly character looks like in every day life, is to introduce them to Godly role models. This can be adults in the church, relatives that are a good example, or even reading biographies to them about great Christians. 4. Pray daily for their character to grow and develop. One of my favorite things to tell parents is that we need to work as thought it all depends on us, and pray as though it all depends on God. We need to do our part to diligently teach and train our kids to have Godly character, but then ask God to do His work in their heart. Even when you get discouraged and don’t see the results as soon as you were hoping, you need to stay faithful in working AND praying, trusting God will do His part. 5. Praise good character more than good grades or physical appearance. If you praise them for being smart or pretty, they will think that is what you value. (And really they have no control over if they are smart or pretty.) Let them know how thrilled you are when you see them making wise choices, or being kind to a sibling, doing school work with a good attitude, etc. Brag about their character to the grandparents or your spouse when they can hear you. That will just encourage their heart, and make them realize how pleased you are about them showing good character. 6. Teach daily character lessons in a fun, practical way that will help them apply the lessons to their daily lives. Making sure that our kids are being taught regular character lessons is much more important than making sure they learn math or history everyday. I found that when we took the first part of our day and gave it to God by getting into His Word, and working on character training, God blessed the remaining part of the day. It’s easy to fall into the trap of thinking that you are too busy and don’t have time for that, but in reality, we make time for what is important to us. God says that faith and character should come before knowledge (academics), so it only makes sense that He will bless our day when we follow His priorities. **They don’t have to be long and drawn out. Depending on their ages, I always suggest stopping the lesson BEFORE they get bored with it. 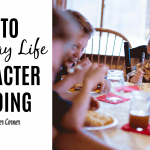 You want them to enjoy and look forward to learning about Godly character, so keep it short. **Make the lessons practical, but fun. Most kids, regardless of their age, will enjoy lessons more if you do some hands on activities to demonstrate what you are teaching, if you do some role playing with right and wrong responses, or play some kind of game to illustrate and help make the lesson more applicable. 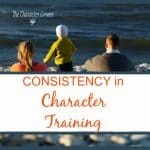 I am going to share some of my favorite Character Training Curriculums to help you get started, if you aren’t sure where to begin. 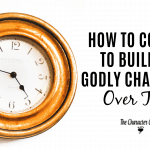 If you want to be more intentional about character training, I encourage you to join me for the free 10 day Building Godly Character Intentionally Challenge!